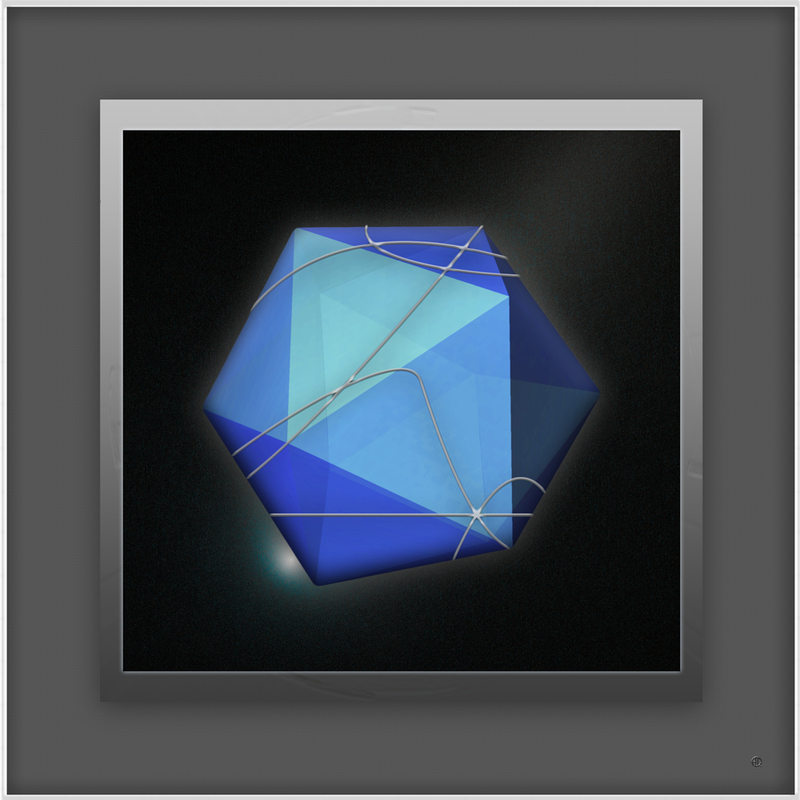 JavaView – Distant geometries.The rhombic triacontahedron is a convex polyhedron with 30 rhombic faces. It has 60 edges and 32 vertices of two types. It is a Catalan solid. The Rhombic Triacontahedron describes the nesting of the five Platonic Solids: icosahedron, dodecahedron, cube, tetrahedron, octahedron. It shows that the 5 nested Platonic Solids may not only grow and contract to infinity, but do so in a perfectly harmonious way. JavaView. Icosahedron. 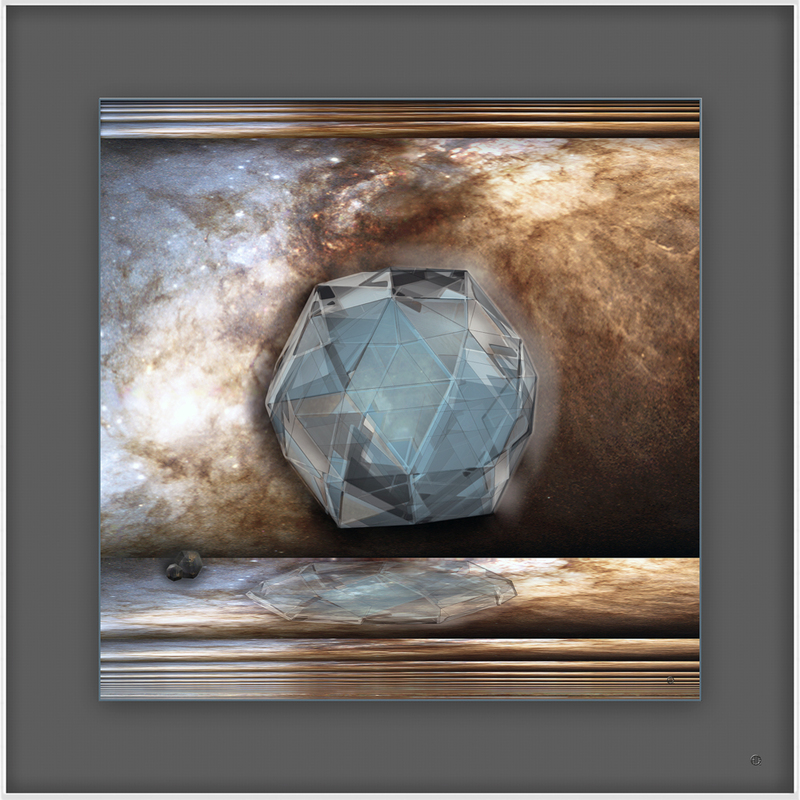 The icosahedron. is a 20-face polyhedron. There are 43,380 distinct nets for the icosahedron. Fifteen golden rectangles span the interior of the icosahedron. These rectangles have 30 edges, and each edge pairs up with its opposite edge to form a golden rectangle. Two icosahedra appear as polyhedral “stars” in M. C. Escher’s 1948 wood engraving “Stars”. Escherlike. Pentagon tiling to celebrate Casey Mann, Jennifer McLoud and David Von Derau of the University of Washington Bothell who discovered a fifteenth pentagon fitting seamlessly on a flat surface and the first new one to be found in 30 years. 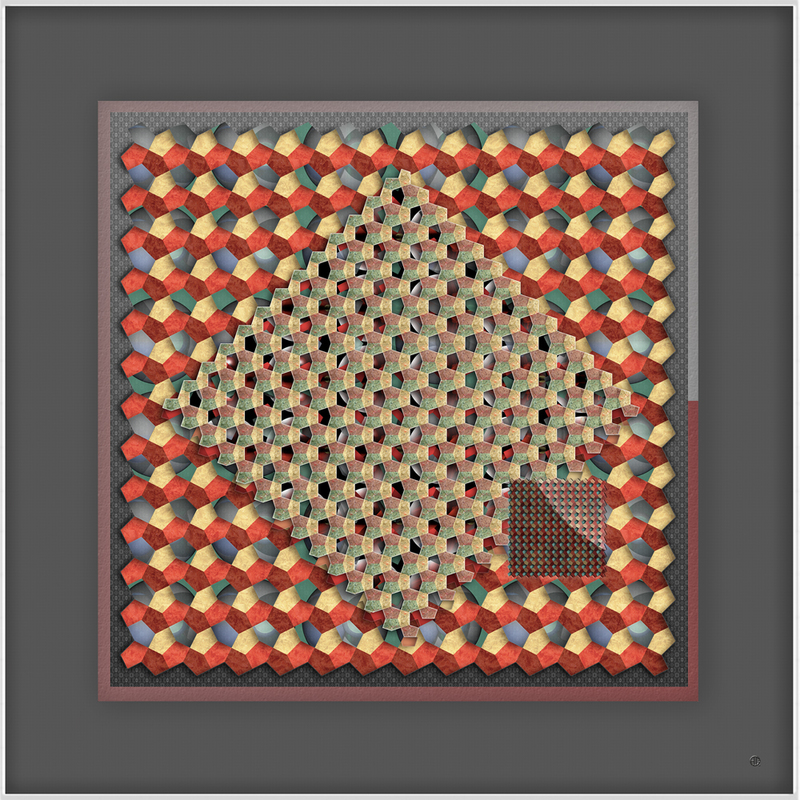 Geraud Bousquet, author of Escher-Like is working at integrating this new shape in the program’s library.